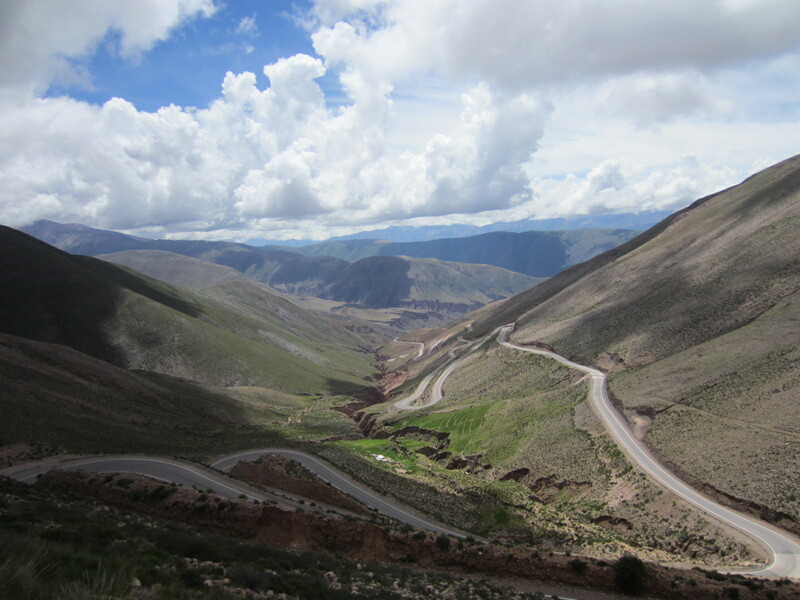 The road from Salta starts up a winding mountain valley. We are flanked by large green mountains as we climb in altitude. 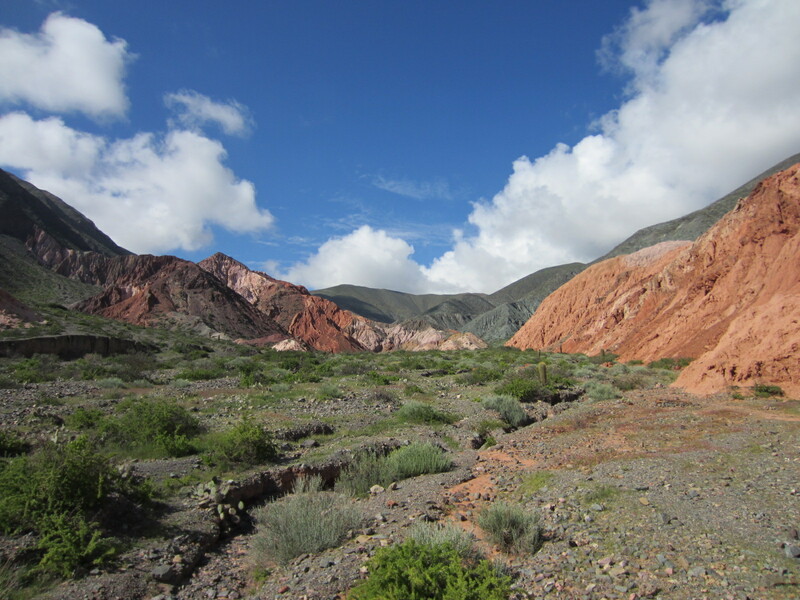 Continuing on we come to the colorful mountains of Purmamarca, remembering the previous day´s hike. 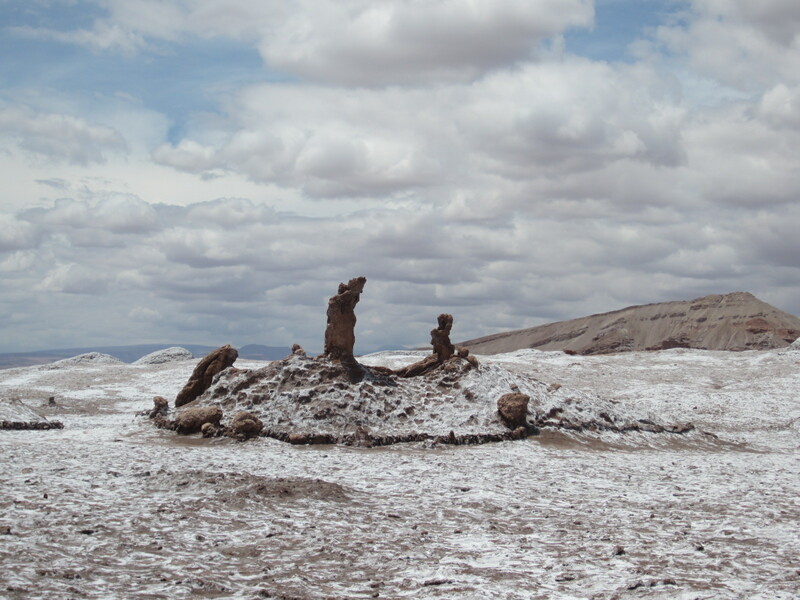 Along this stretch of road many of the large mountains, which are made of clay, show large vertical crevasses eroded by years of wind and rain. Higher we climb and the mountains change to gigantic rolling hills of green grass. Llamas stand grazing at each turn. 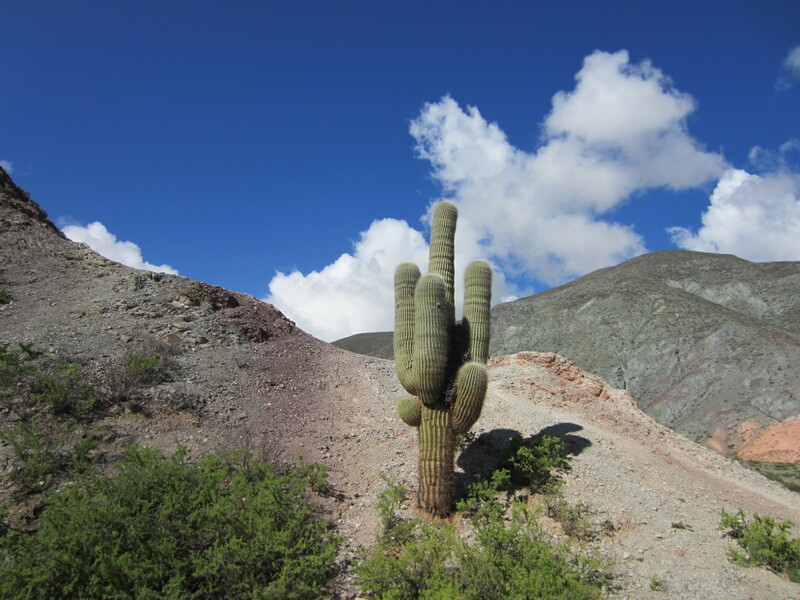 The large cacti that covered the low desert change to small shrubs as the altitude climbs and temperatures drop. 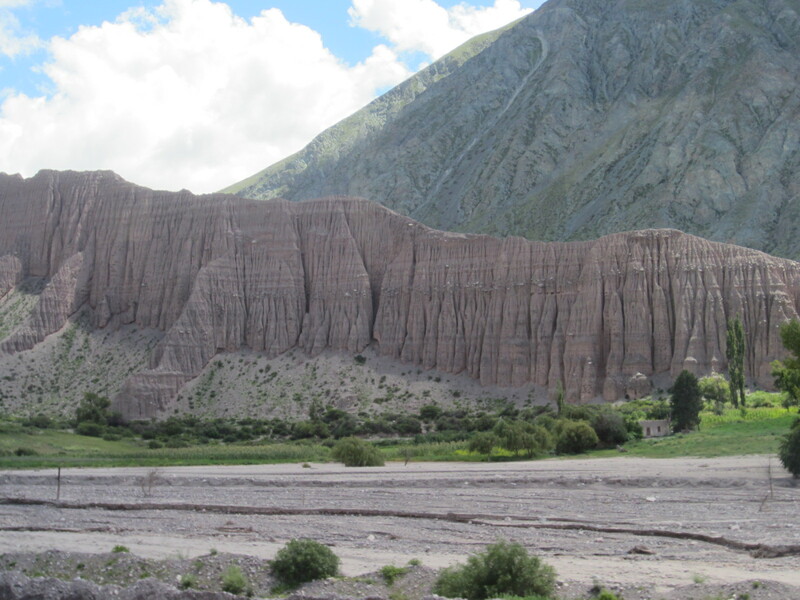 The mountains have now become more jagged and rocky, taking on a dark brown color. Farther down the road splits the middle of a large, shallow reflective lake stretching for miles in each direction. It is impossible to tell where the earth ends and sky begins. the high desert where the only plant life is small patches of grass. The dark red sand surrounds us. 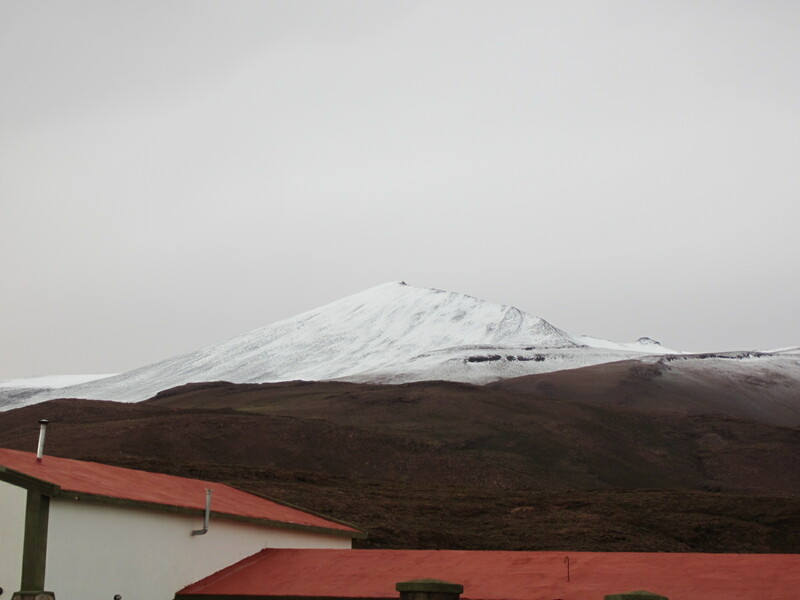 One peak we drive over is covered with snow showing the diversity of the region´s beauty. 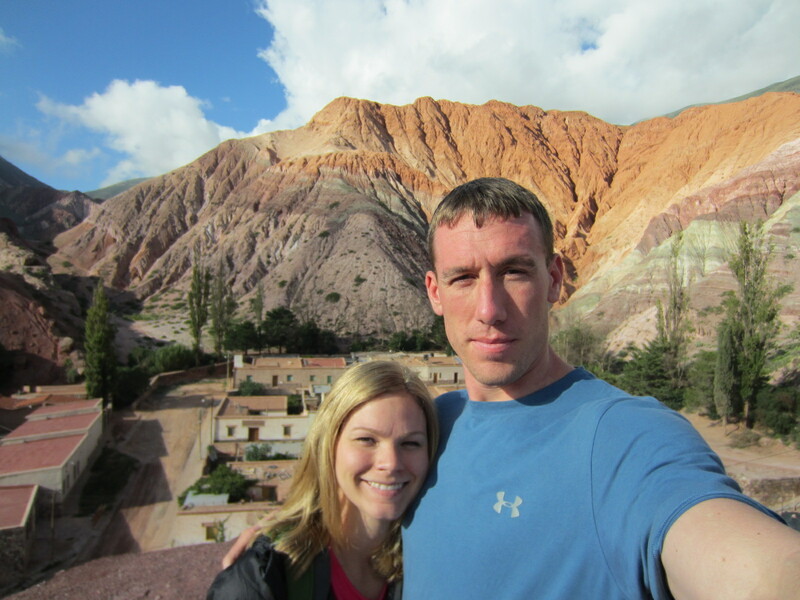 Onward to San Pedro de Atacama. 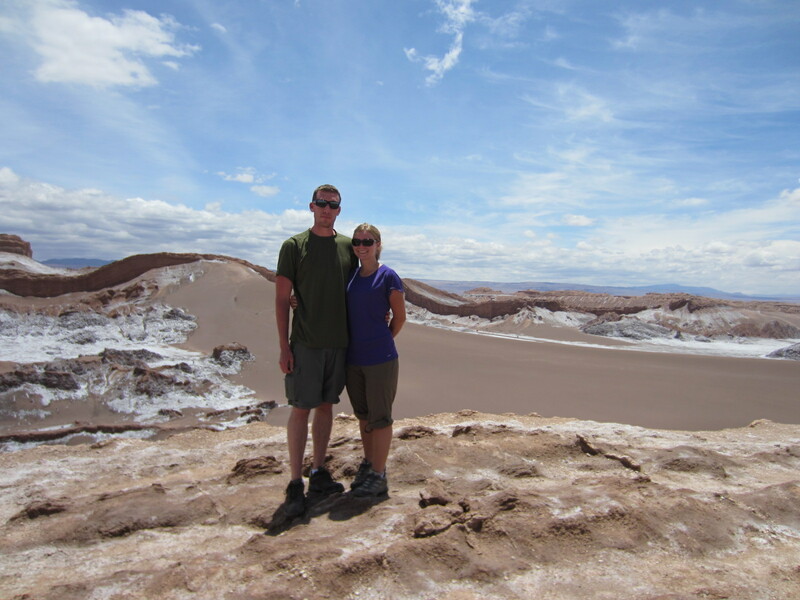 This afternoon we rented bikes in San Pedro de Atacama and headed out for Valley de la Luna (Valley of the Moon). It is so named because it resembles the surface of the Moon. I doubt the Moon looks anything like this valley, but it is certainly other worldly. After a 15km ride we see mountains jutting up in every direction and tall sand dunes climbing up to meet sharp cliffs. 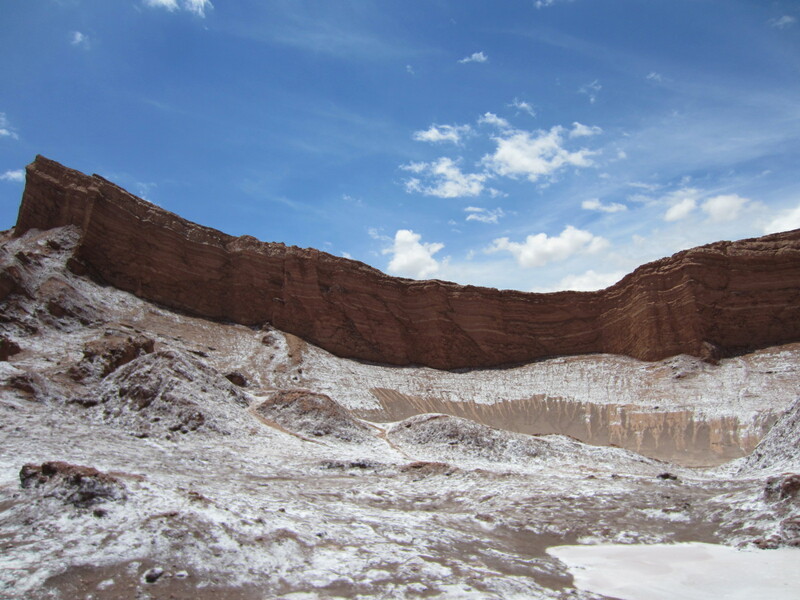 The entire region is a dark reddish-orange with dark grey dunes all covered with a white salt giving you the impression of a snowy winter. top of a small mountain range giving us a view of the surrounding area. Walking along we see one of the regions largest dunes surrounded by a large cliff on one side and multiple smaller jagged peaks everywhere else. to see rain falling in the distance. 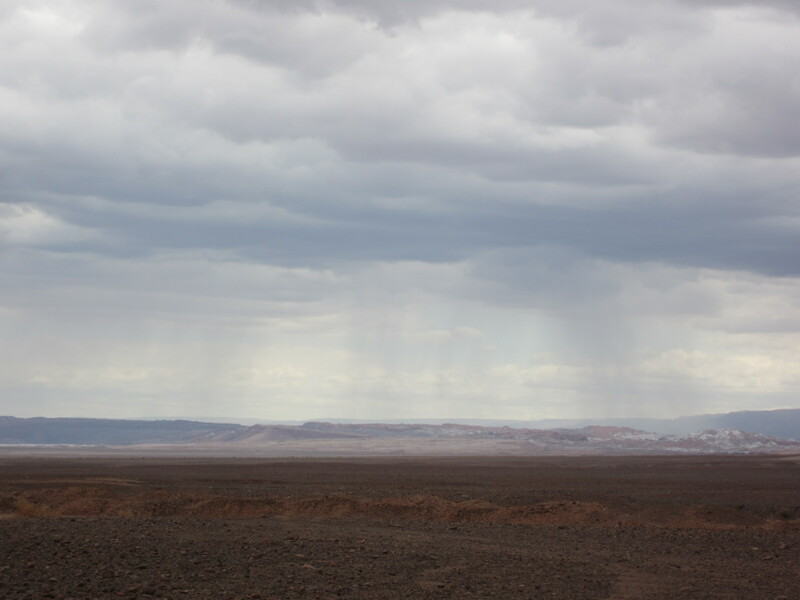 This is supposed to be the driest desert in the world, but apparently not this region, as it seems to rain every evening. Tomorrow we head out on a 3 day excursion across Bolivia to Salar de Uyuni where we will see colorful lagunas, geysers, flamingos (comer?) 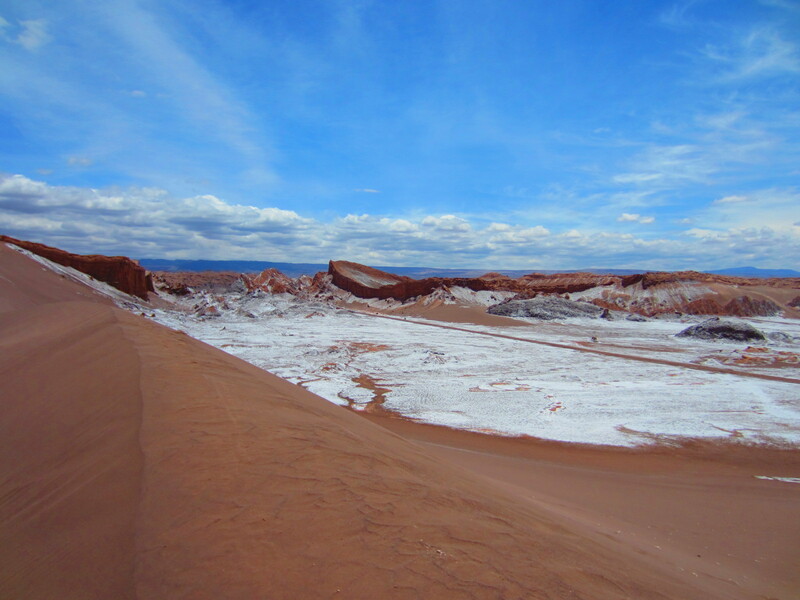 and of course the large Bolivian salt flat. 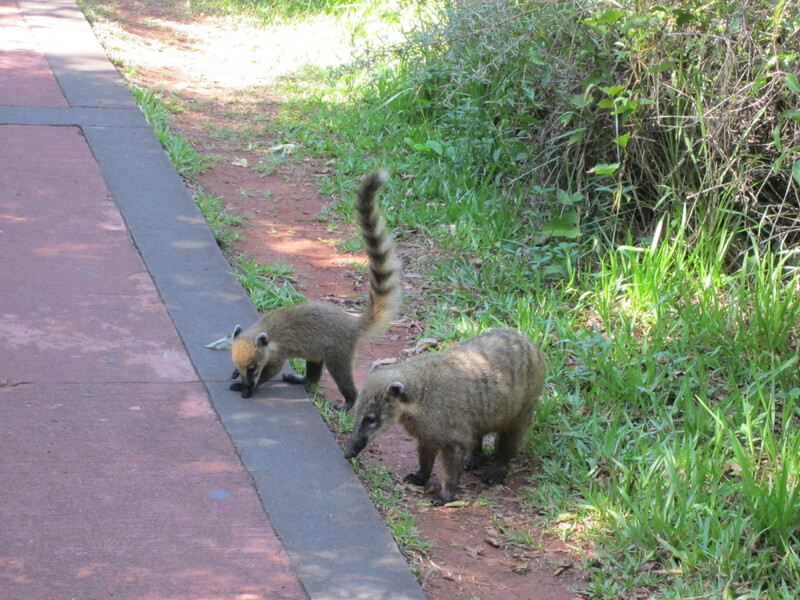 ring tailed animals who were similar to racoons. They were very friendly and would come up to you in hopes of getting some food. As we continued on down the trail you could hear noises coming from all around, a true feeling of nature. After walking for a bit longer we were lucky enough to come across a monkey! He was high above jumping from tree top to tree top. 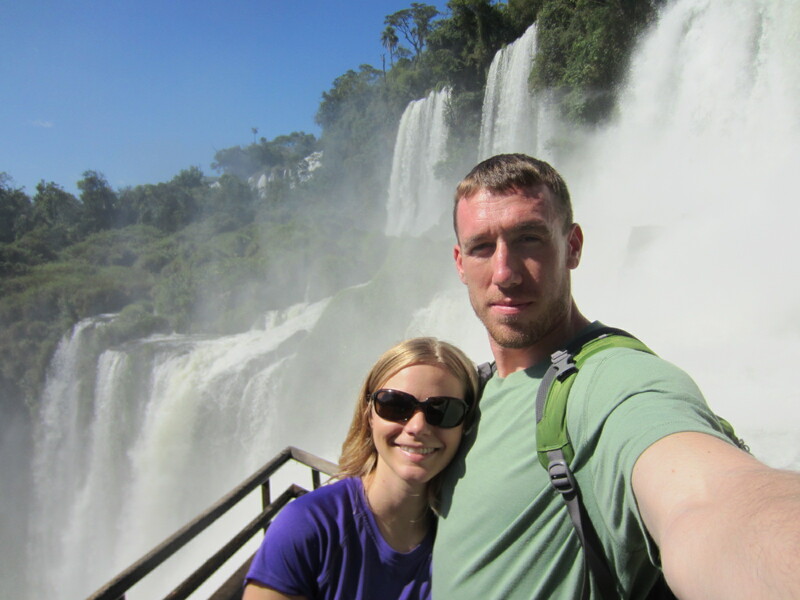 Enjoying the sights so far the closer we walked the closer we came to the sound of rushing water. Around the corner we were braced with a breathtaking view. Through the trees we could see the mist coming up from ¨The Devil´s Throat¨ and to your right we could see the beauty of another waterfall. Though it is not as big as ¨The Devil´s Throat¨ the beauty of the green grass and lush trees surrounding the water as it feel from the cliff above was breathtaking. We stood to view the waterfall, being covered by its mist but enjoying every minute. 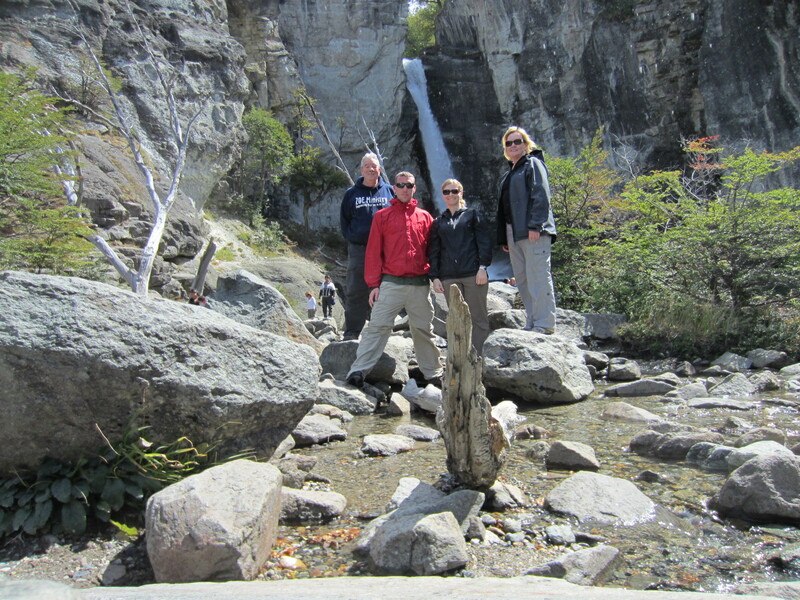 We continued on the trail to see waterfall after waterfall, big and small. Once we were to the end of the lower circuit we continued on to the upper circuit. it hit the ledge. After walking the upper trail and seeing the river and top of the falls we found a pleasant place to sit and talk about the things we had just seen. Eager to get a closer view of the Devil´s Throat we took a small train through the jungle to get to the beginning of the trail. 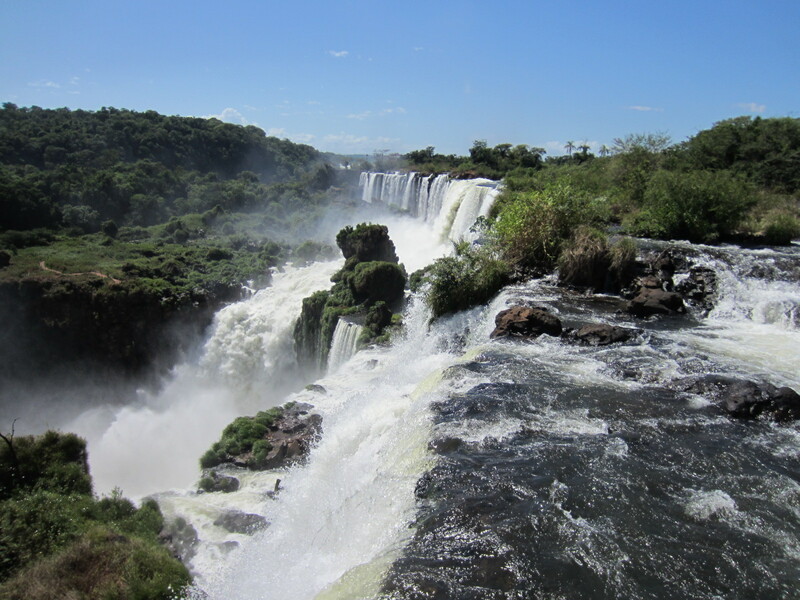 This trail lead us across the Iguazu River. On this trail we were able to enjoy a different view than the lower and upper trails. Here we felt like we were on top of the world, walking on water. Finally we were here! 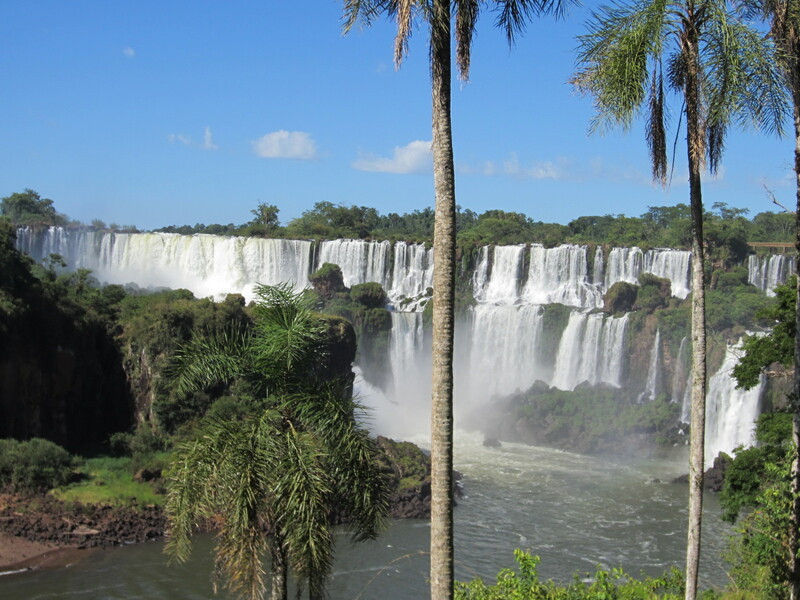 We could hear the roar of the water falling to the bottom. Once at the rail we could not help but to be amazed by what was before us. 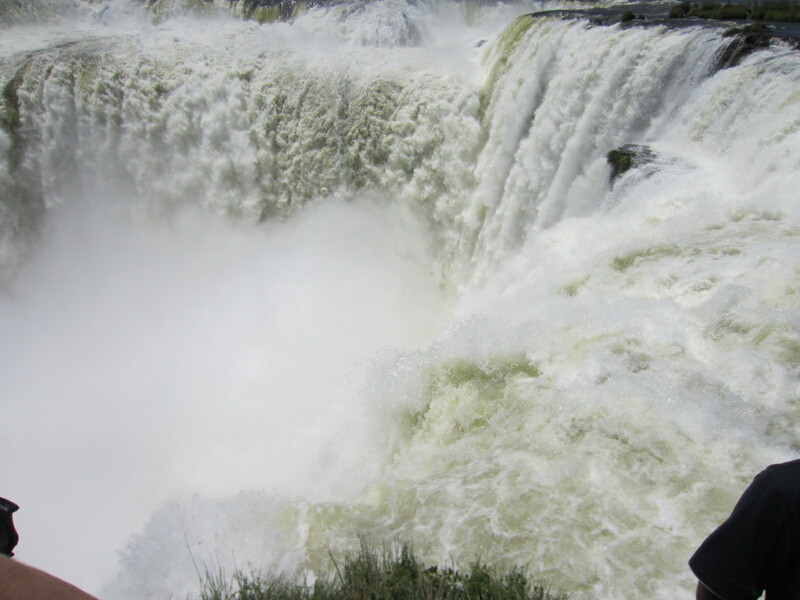 The volume and speed of the water falling was like nothing I had ever seen before. I could not look at the fall as a whole for too long without my eyes going crossed. I had to pick a spot and stare to really see what was going on. The mist from the falls was massive. We could not see the bottom, only a cloud of mist rising into the air. The only thing I would say to myself was WOW! Words nor pictures could ever do this Fall justice. Brenden and I just stood there for a few minutes to take in the great beauty what was in front of us. 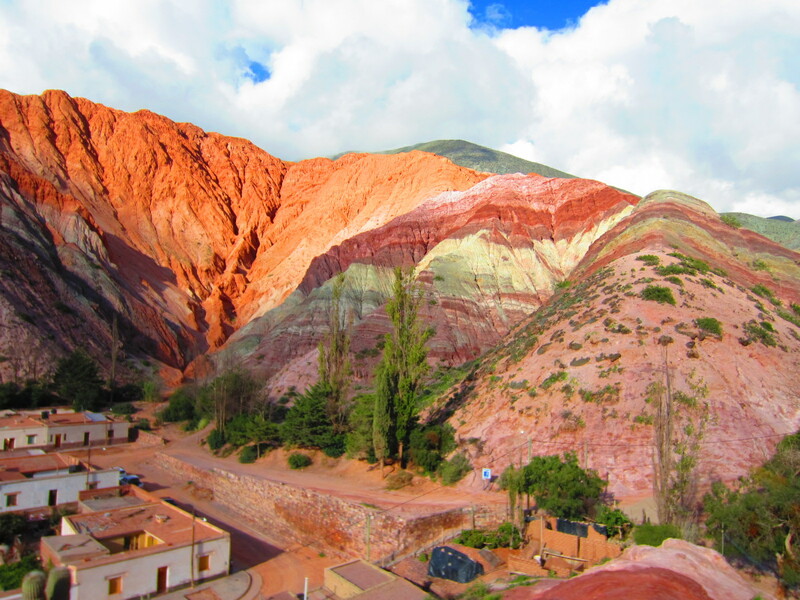 Here in the small desert town of Purmamarca you can see the Cerro de los Siete Colors (Seven Colored Mountain). The different colors in the rocks here are like nothing I have ever seen. Not only do you get to enjoy lush green mountains around you but also mountains with hints of purple, orange, pink and blue. A rainbow of colors….beautiful! Brenden said this was the most beautiful desert he has seen. In this little town you will not find any big commercial businesses, only small local shops, dirt roads and locals mixed in with backpacking hippies. We started our walk towards the Seven Colored Mountain. We found a path leading up to a hill. Once we reached the top we had a excellent view of the mountain. We stood on top of the hill to take in the panoramic view around us. We then decided to climb up a mountain. Of course Brenden did just fine going up. Me…not so much, but I made it to one of the view points. Brenden wanted to keep going while I decided to head back down and take the path around the mountain to get to the other side. After meeting back up with Brenden we wondered around the deserts valley on a quest to find the perfect cactus. We could see one ahead that was not perfect but a pretty good one. The valley we walked in was a dry river bed surrounded by tall clay and rock mountains of dark orange and colored rock covered with cacti. 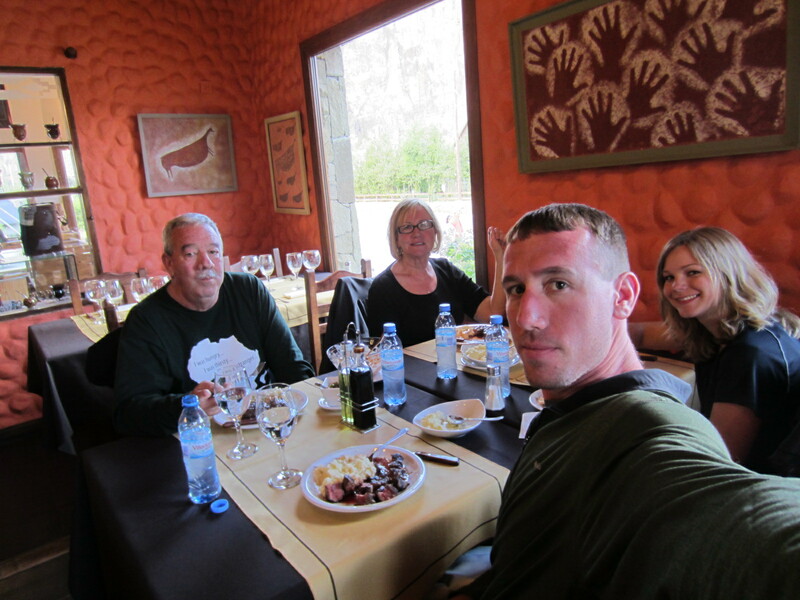 After making it to the cactus we turned back and headed towards the town. Driving from El Calafate low clouds begin to fill the valley, creeping over the mountains into a thick fog. Rain sprays the windshield on our bus as we pass the first hour of our trip oblivious to the scenery around us. 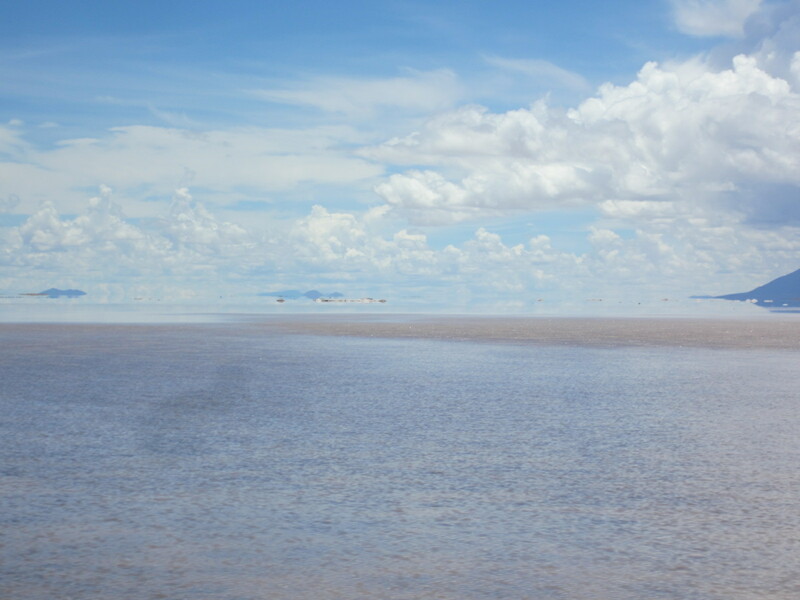 As we pass Lake Argentina the clouds seem to melt away and we are met with the beautifully redundant land scape that doesn´t seem to end. To our right a tall jagged rock strewn mountain covered with dark green grass. 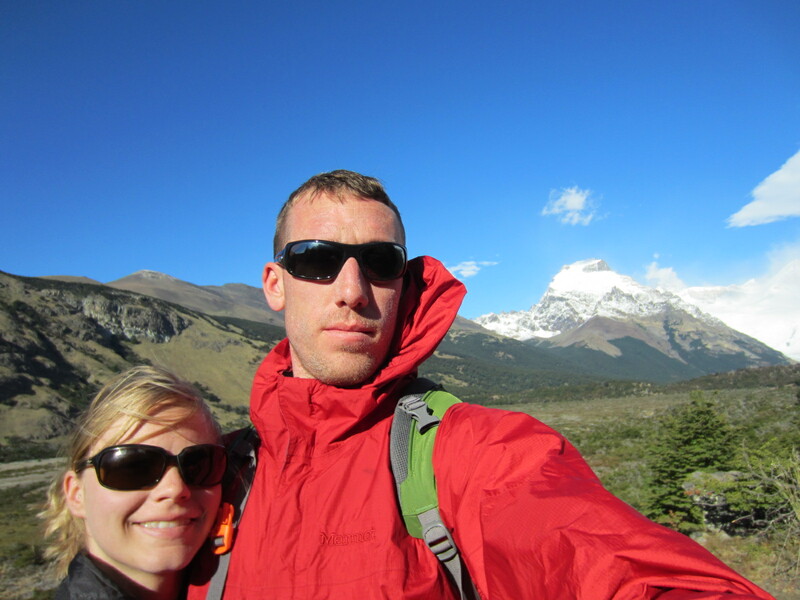 To our left a large blue lake surrounded by dark yellow grass with a back drop of snow-covered mountains. Through their center a glacier snakes it´s way into the lake. We find ourselves in a small quaint town awash with young adventurers from all over the world who have come to the trekking mecca of the western hemisphere. The town sits in a valley surrounded by broad-faced cliffs and one main thoroughfare, 1km in length. All the shops sell either souvenirs or trekking equipment, restaurants gouge their patrons with overly expensive, but delicious food, and the two supermarkets, though small, seem to be severely lacking what most hikers are looking. Regardless of the town which is not the main draw, the surrounding vista is stunning. 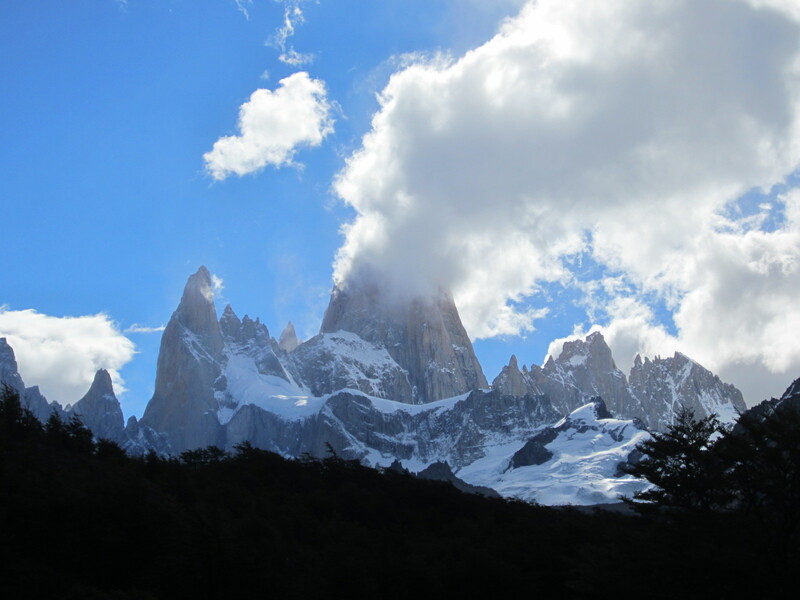 Beyond the large surrounding mountains, through the ever-present clouds, sit the large Cerro Torre and Fitz Roy mountains. 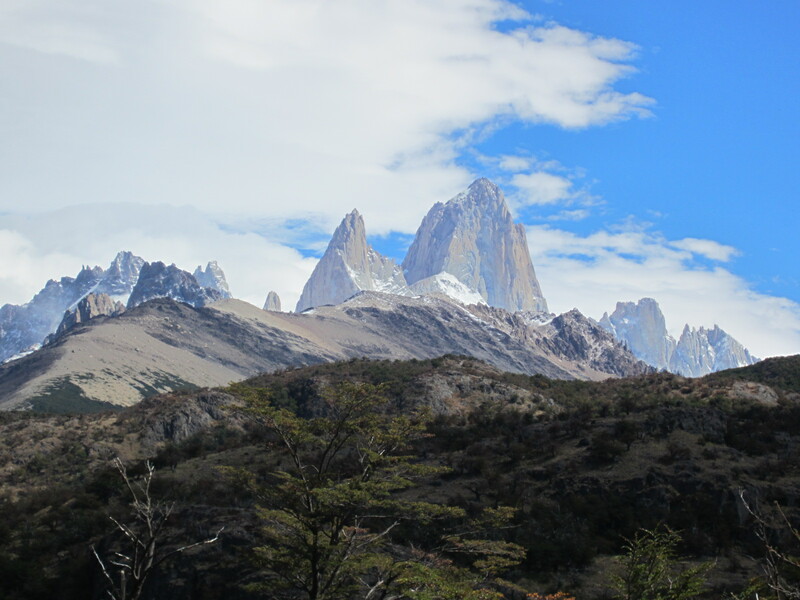 Fitz Roy sites above all her rivals as king, jutting straight up with a broad flat face and slender sides. 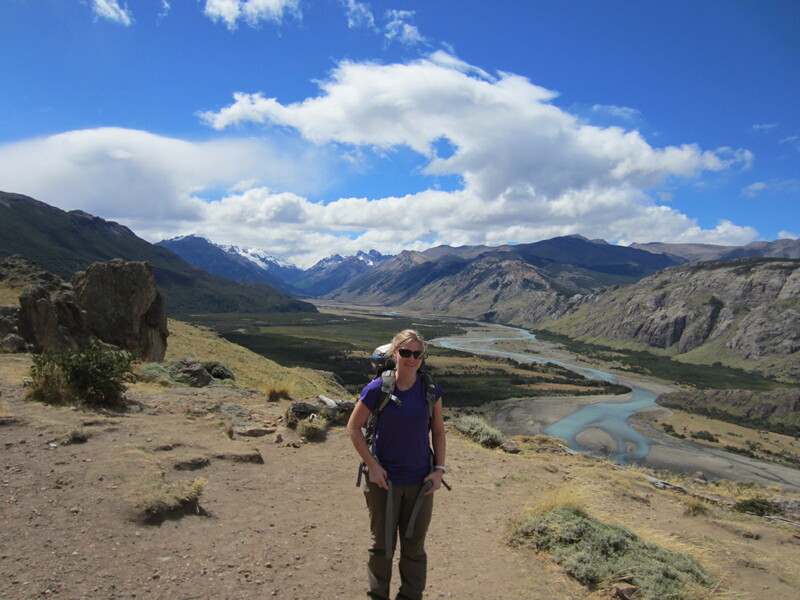 On Friday we began our ascent towards Lago de los Tres, near the base of Fitz Roy. After purging our packs of the superfluous, grabbing a few items from the local supermercado and taking the afternoon´s repast we start up the 10k trail with our packs, tent and sleeping bags. The first hour was a constant up hill battle that left Magan hating life. With a little encouragement she ploughed through it with iron will and determination. One and a half hours later we reached a large clear lake and our camp site. After an hour of rest and setting up our tent we set out for the second half of the trail towards Fitz Roy. 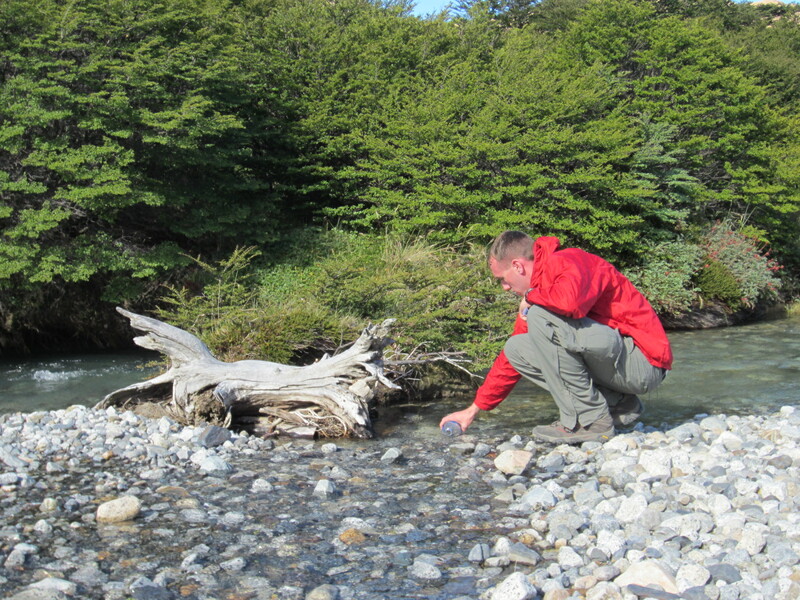 This time with only a water bottle, which the local streams provided ample resupply. Through the entire trek we were met with ever increasing and diverse beauty as we passed through shaded trails with small trees, open passes with short shrubs and lush forests with moss-covered trees that looked as though they could be as old as the mountains themselves. All the while Fitz Roy is growing in size and grandeur. The second hour and a half passed with significantly less hassle, but our feet were beginning to ache. As we passed the second campsite we knew there was one more hour of trekking, though this would be straight up. We set out for this last portion with zeal, but 30 minutes into the climb Magan´s legs had given out. As the winds grew colder and the setting sun pushed shadow on our trail we decided to return to our camp. As we trudged along, both of us thoroughly beat, we arrived back at camp after retracing the last hour and a half of trail. At the camp we enjoyed our jamon y queso sandwiches along with potato chips and fresh stream water. After a brief run in with an unplesant out house we fell asleep, only to be awoken by the ferocious winds sweeping across the mountain. Slightly worried that our tent cover would blow away I stayed awake until I thought it was time for the sun rise. Anticipating the beautiful pink-orange glow of Fitz Roy in the early morning sun I eagerly climbed to a vantage point only to find the entire range covered in clouds. Disheartened we packed up camp and hiked down (30 minutes rather than 1.5 hrs) in the wind and rain accompanied by cloudy valleys and rainbows at each turn. A rather anticlimactic ending for a stunningly beautiful and completely exhausting trek. Never the less the next few days were full of treks to water falls and up to Laguna Torre at the ridiculously windy base of Cerro Torre. 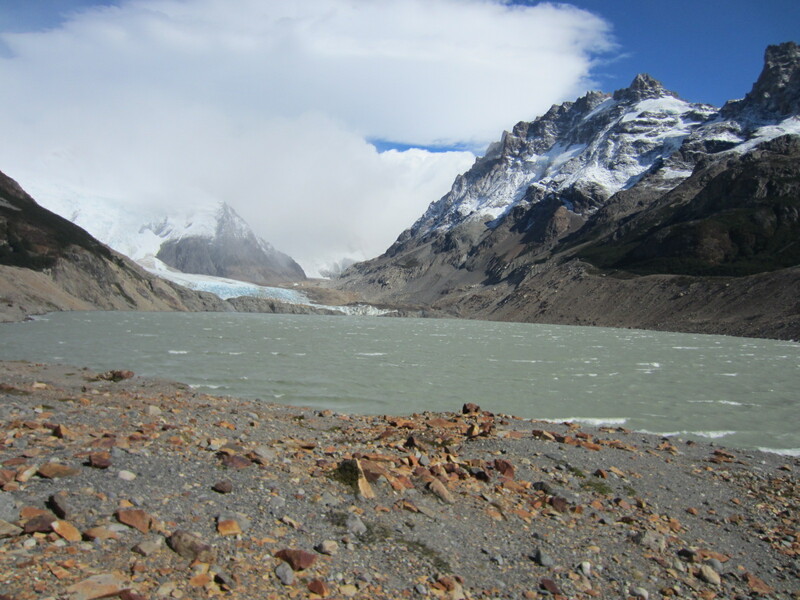 End of the trail at Laguna Torre. Windiest place in the world. Large (about 16oz) Argentine steak. Best we have ever had. 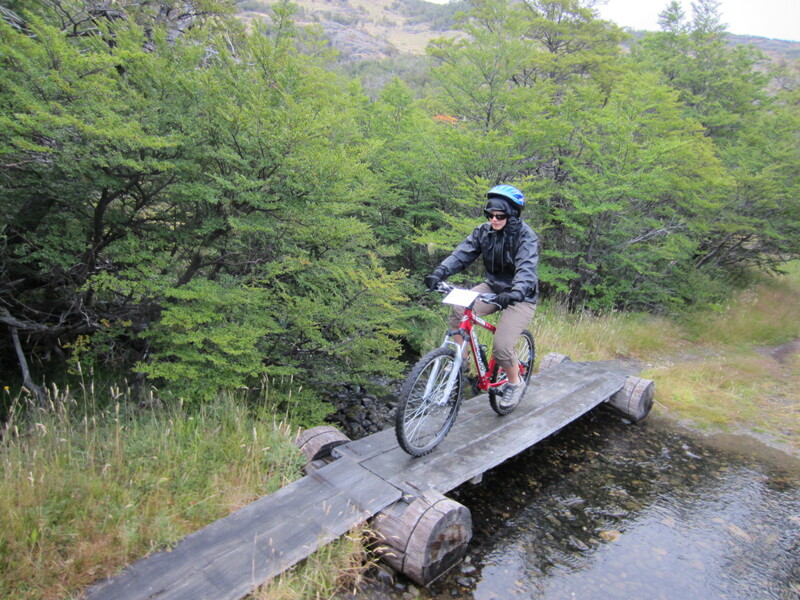 Mag´s on a mountain bike. 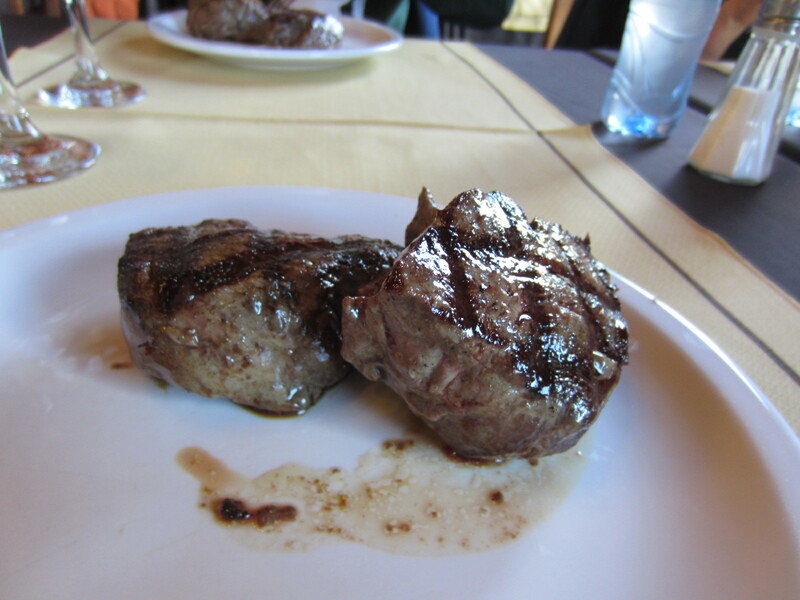 Eating dinner in Chalten (delicious steak). 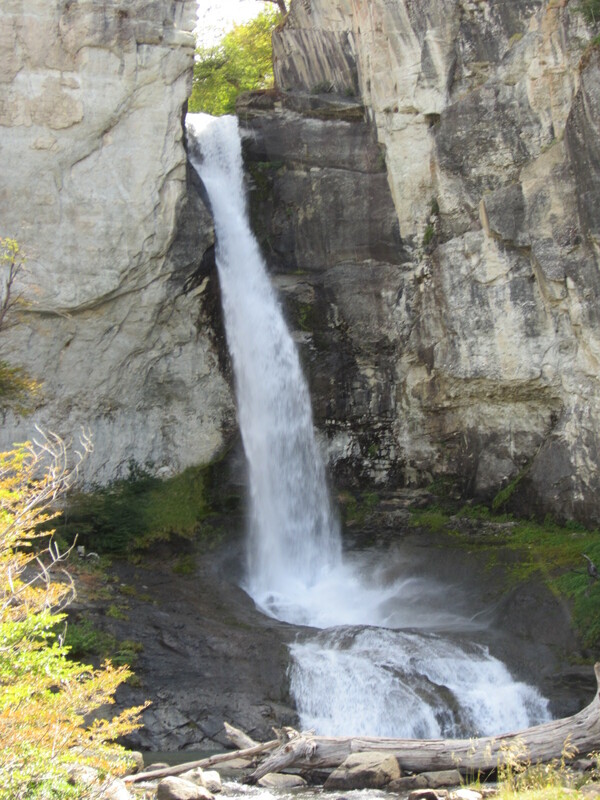 Water fall. A short 1 hr walk. 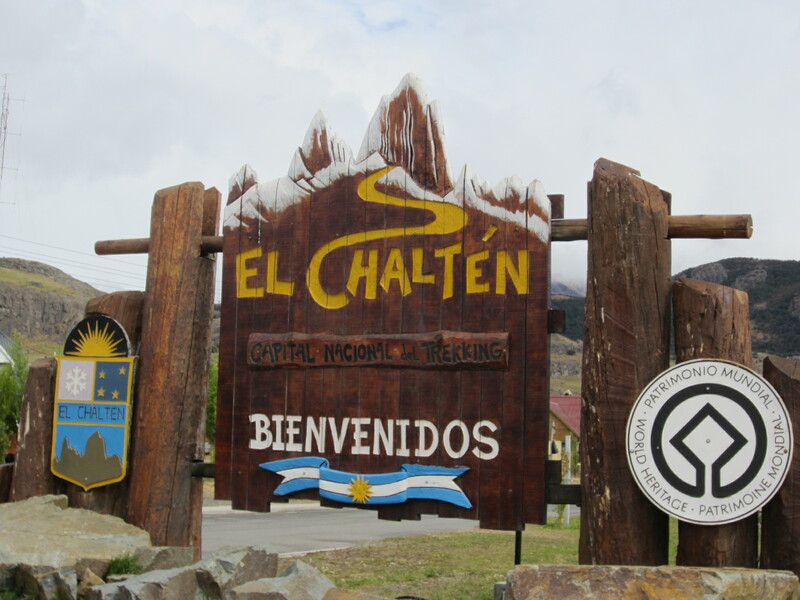 Early this morning Magan and I began our journey to the Perito Moreno glacier. 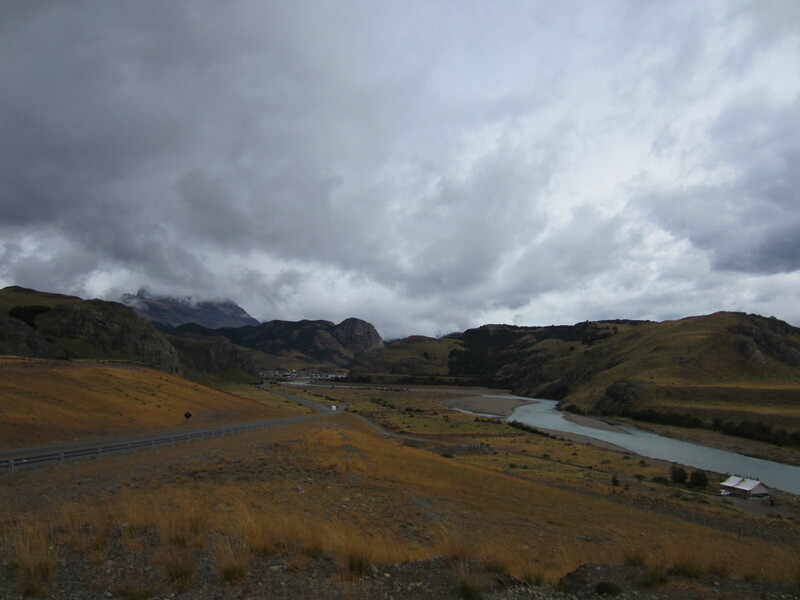 Along the winding road we are flanked by the seemingly endless golden-brown landscape that is the Argentine steppe. 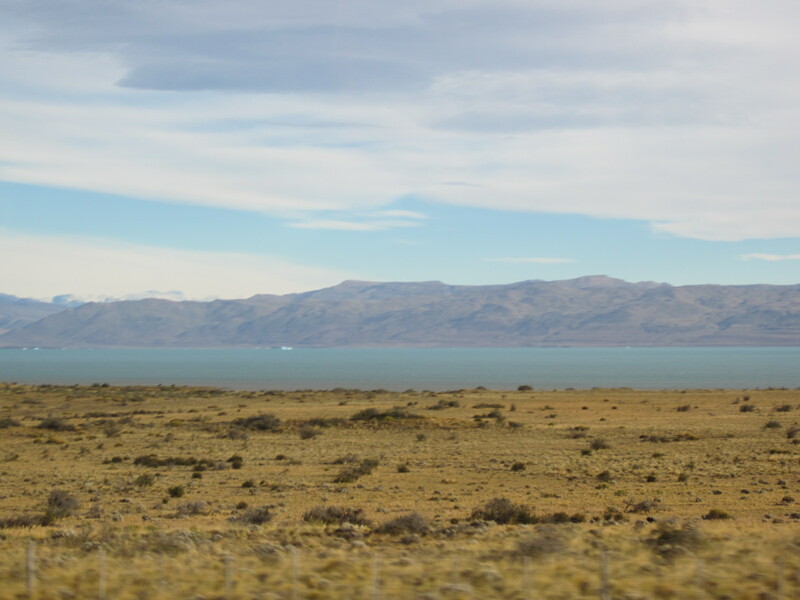 To one side the vast undulating meadows of wind swept sagebrush flow to the serene shore of lake Argentina. The deep, indescribably blue sun-stroked lake is punctuated by small windswept white caps and fragments of ice torn from the face of the glacier. To the other side clouds are contorted and crippled to preternatural shapes as they sail past the large snow capped Andean peaks jutting from the ground. A large golden brown condor soaring above suddenly swoops down for a possible meal. As we turn a corner the mountains seem to part and we are confronted with the large spinney beast that is to be our world for the next seven hours. 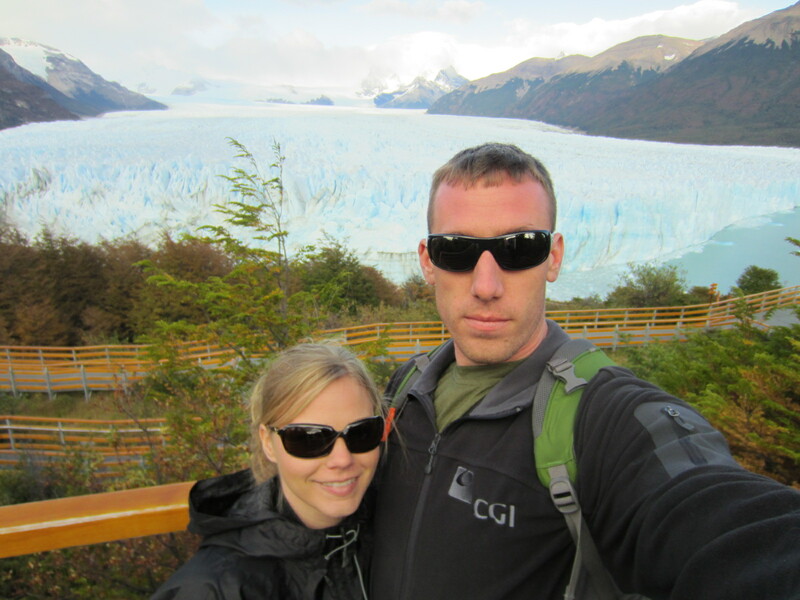 The first hour was spent in awe as we moved between the multiple viewing platforms near the glacier. 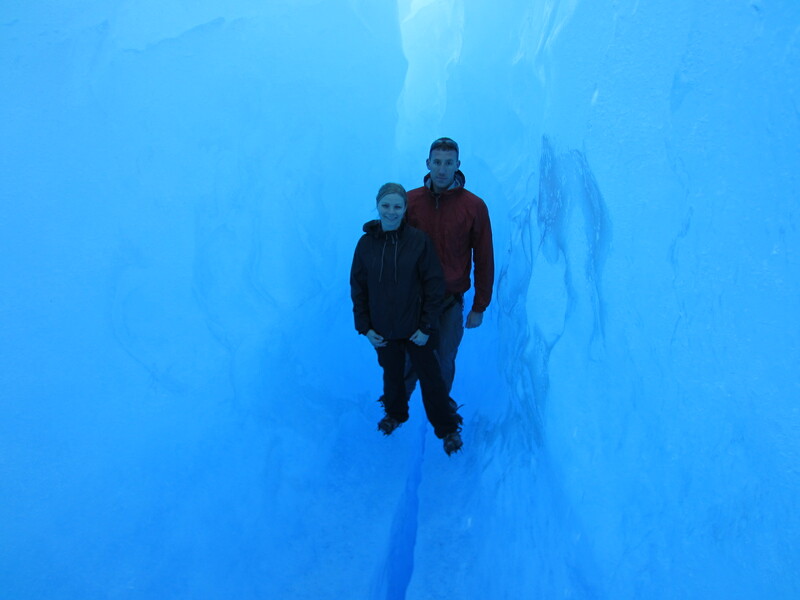 The 60 meter tall 4 kilometer wide cliff of ice consists of deep blue and white towers of ice crushed together through thousands of years of snow. The view is punctuated by the thunderous crack and roar of ice separating from the cliff face and eventually falling into the water below. 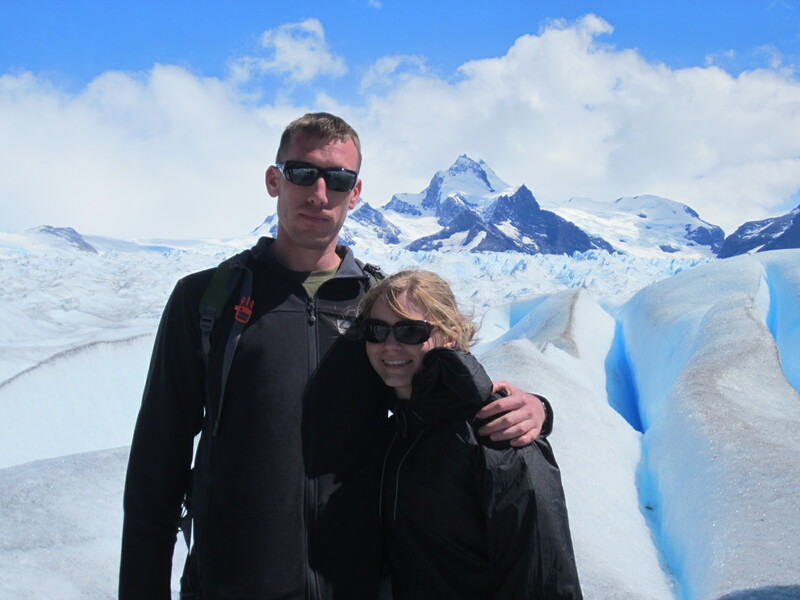 Our trip to the glacier began on a short boat ride through the placid lake full of milky blue glacial water and icebergs, courtesy of Perito Moreno. 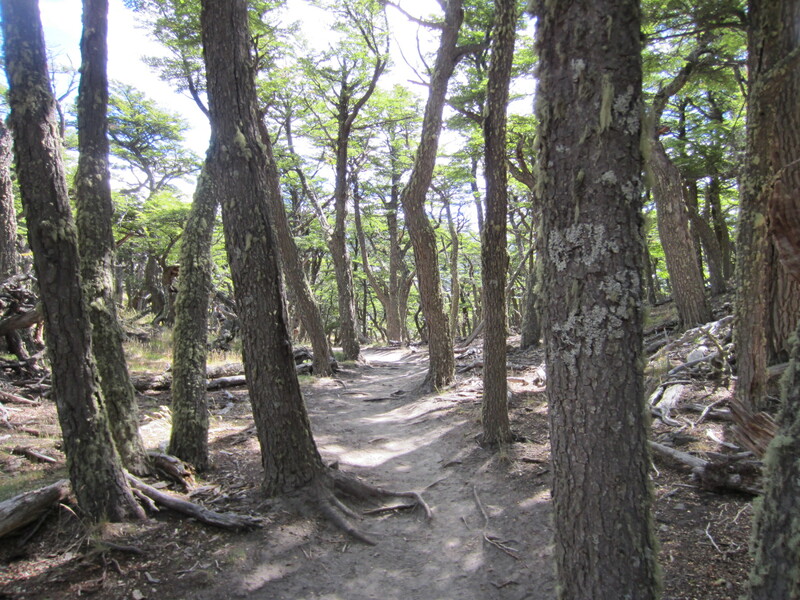 Once on shore we begin our arduous trek up the side of a mountain flush with small green shrubs and gnarled trees, crippled perhaps by the windy and fridged Patagonian winter. 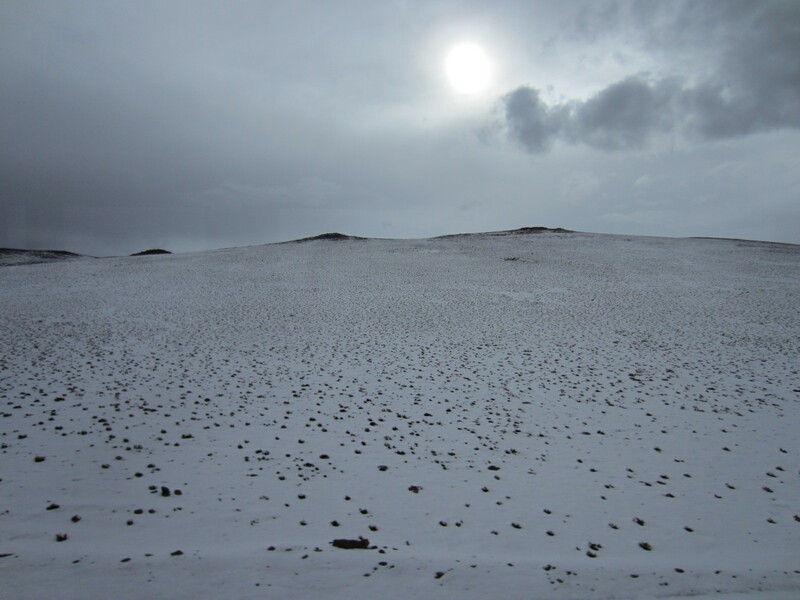 After an hour shadowing the glacier we reach our point of embarkation, don crampons, and begin our ascent. The surreal glacial surface seems as if a vehemently rough sea had suddenly been flash frozen with 30, 40 even 60 foot waves stuck in time waiting to crash down. 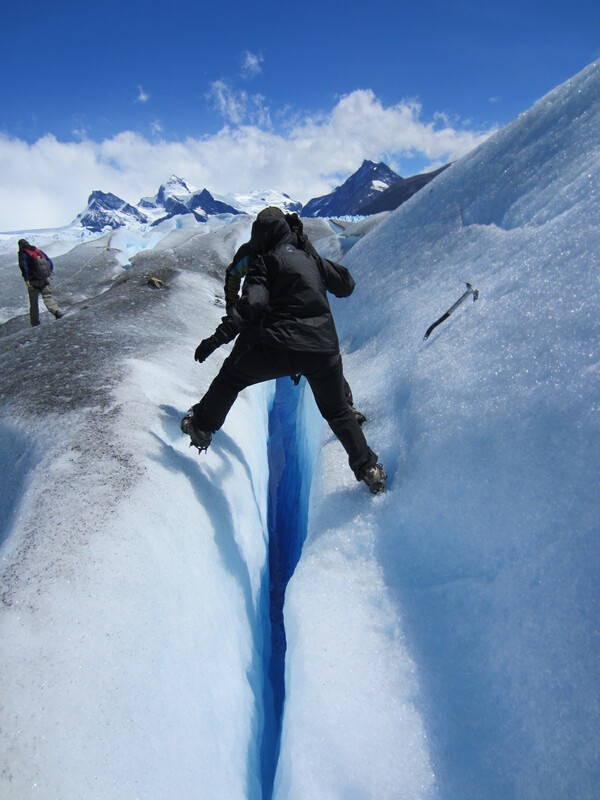 Deep crevasses scar the surface running horizontally as well as vertical. 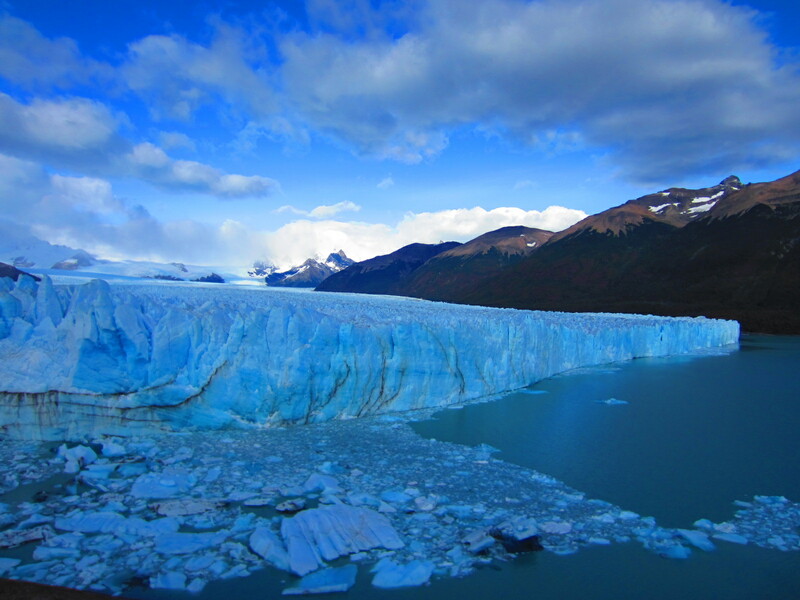 It is quite possible, and with no amount of hyperbole, that when this glacier was created God decided to encompass every shade of blue perceivable to the human eye. 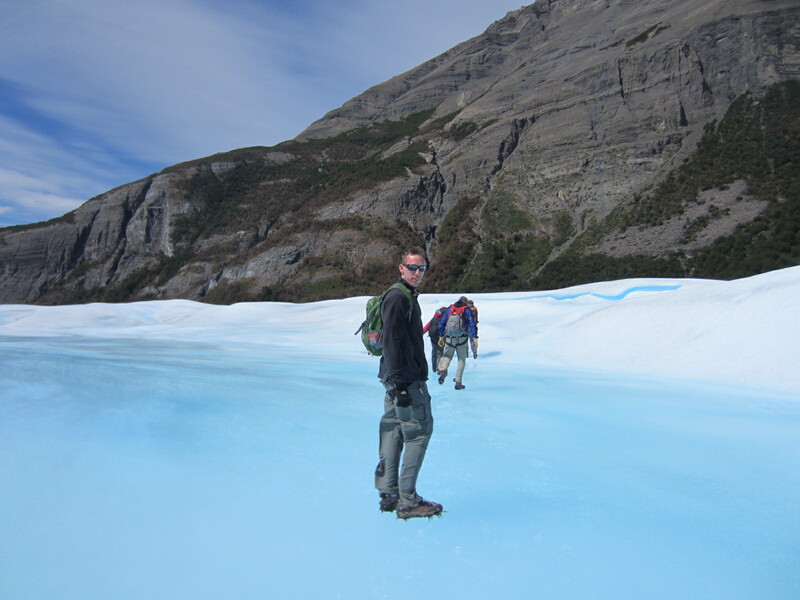 The crystal clear white ice of the surface that hints at the lightest shade of blue quickly gives way to the aqua colored puddles of collected glacial melt. All colors, beautiful as they are, pale in comparison to the deep blue of the crevasse-tunnles cut by the fast flowing torrential rivers of melted glacier water. Up and down steep ice embankments we marched, one by one, for three and a half hours (including a quick break for lunch) until it was time to return. On the walk back we stopped for water at a quite beautiful waterfall surrounded by lush vegetation and a lone cow. A scene that would fit into any picture book’s tableau of the Garden of Eden. Down we trod, back to the boat for a snack and glass of scotch. Onward to the bus for a quick nap and chance to lament the trip’s lack of sunscreen. Large ice cave in the center of the glacier.